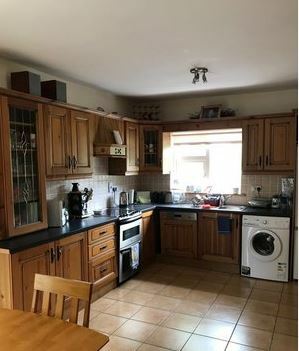 Semi-Detached House – 3 Beds – 2 Baths This is a delightful semi-detached 3 bed house situated in the charming Churchview Estate. Comprised of approx. 1142 sq. 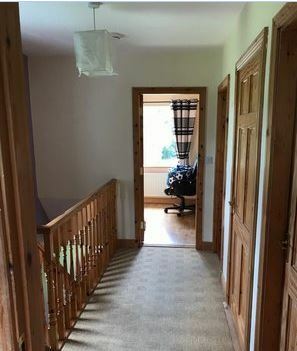 ft., this property consists of a main entrance hall, open plan kitchen / dining room with patio doors leading onto private rear garden, separate sitting room, downstairs W/C, 3 bedrooms up-stairs (1 of which is en-suite), main bathroom (with bath & shower) and hotpress. Private front and rear garden and private driveway. Small garden shed to rear of house. 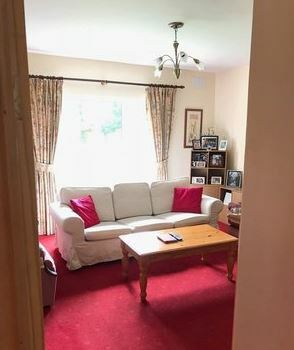 This property is bright and airy and the rooms are very well proportioned throughout. 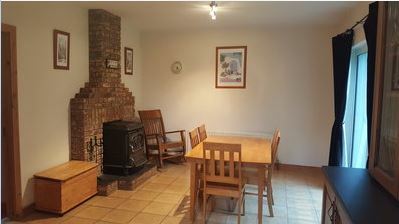 Energy efficient dual heating system with back boiler run off solid fuel stove in dining area and OFCH. 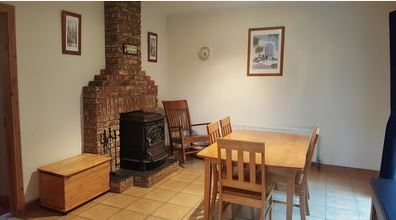 Solid fuel open fire in sitting room. Canopy style front porch and double glazed UPVC windows throughout. Stylish brick surround at stove in dining room provides a feature focal point and brings definition and warmth to the room also. 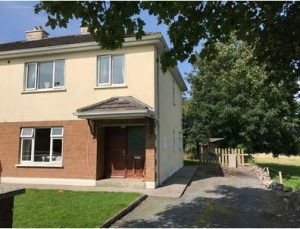 As this property is situated at the back of the Churchview Estate this brings an additional element of privacy to the resident. 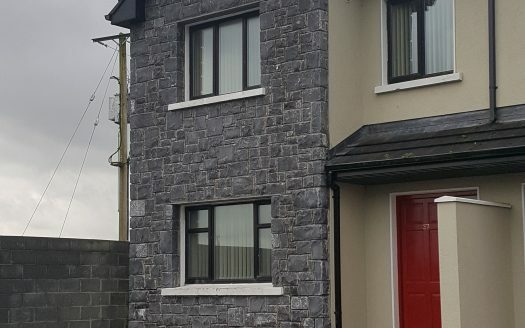 Churchview is situated right in the heart of Menlough Village and as the name suggests is located across from the Church. Nestled beside Churchview is the Village Hall and all village amenities are within just a couple of minutes walking distance. 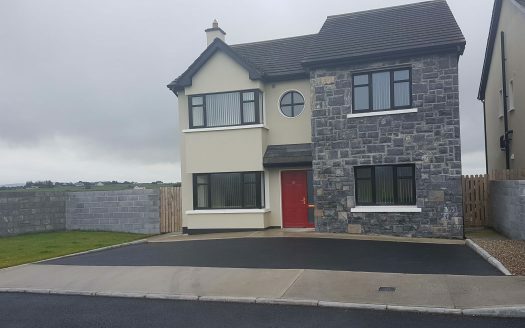 Menlough has a very friendly community spirit and has great amenities to offer such as Jordan’s Spar Shop, St. Mary’s National School, pre-school facilities, Church, hall, public house, GAA pitch etc. Secondary schools are located nearby in Mountbellew and Castleblakeney, as well as the 3rd level Agricultural College in Mountbellew. 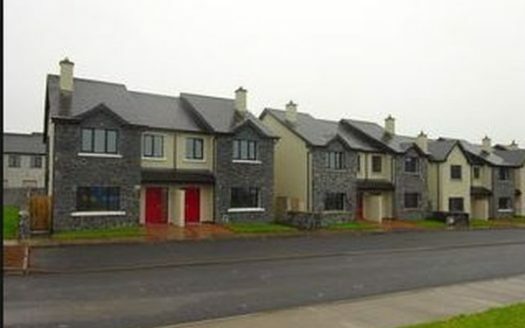 Menlough is also only 35 minutes from Galway City which makes it an excellent commuter village and approx. 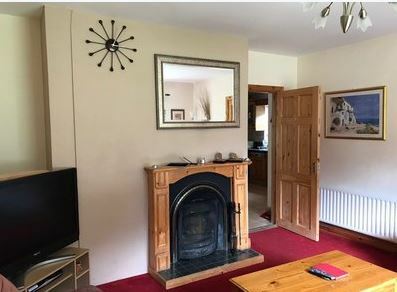 20 minutes from the towns of Athenry and Ballinasloe. 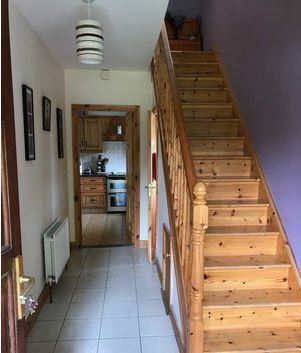 Careful tenants with written references are required. Please note this is a non-smoking house and pets are not permitted. 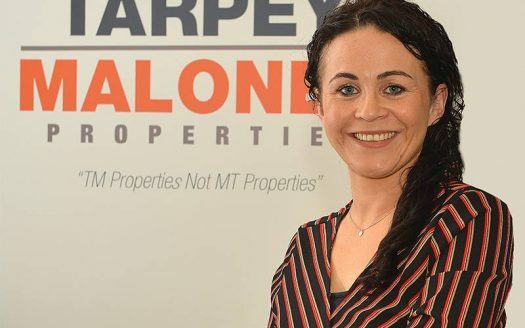 I consent to receiving email communications from Tarpey & Maloney relating to company and product news. Copyright 2018 | TMP Properties. All Rights Reserved.